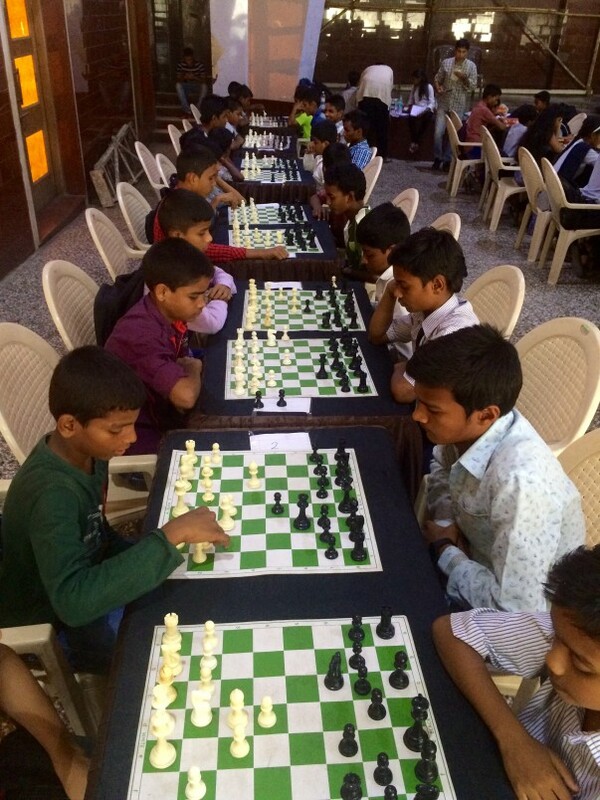 A pursuit of excellence for 108 kids from the slums of Mumbai. We might not have gas chambers or mass burnings today but poverty, poor healthcare and education inequity are plaguing our world. Is it not time for us to empathize and do something about it? Watching the news and feeling bad about injustice isn’t enough. We have been lucky to be born with all the privileges that we have. We have received so much from this society. Isn’t it our responsibility to give back? There is a sleepwalker in every one of us. The only way to avoid succumbing to the sleepwalker is to wake up, start questioning and start doing something. Education is a powerful tool for transformation. Not only does it alter the life path of the child, but it also uplifts an entire generation of family members along the way. 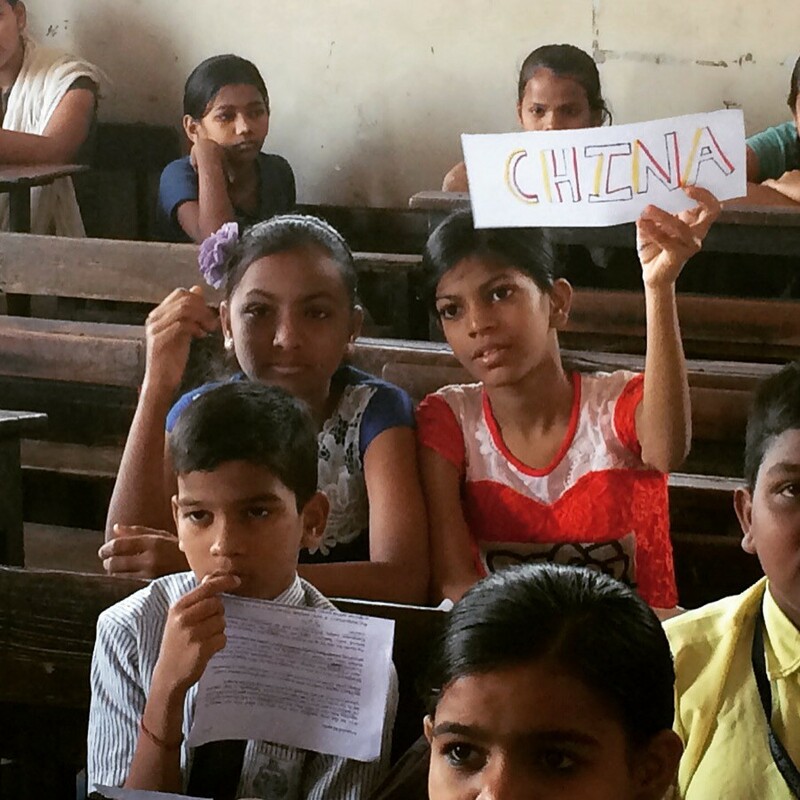 Last year, around this time, I joined Teach For India, in my attempt to avoid being a sleepwalker. It has been one hell of a ride so far and I’ve added many new lens’ to my perception of the world. During my journey I’ve been overwhelmed by a lot of people asking how they can help. I’ve realised that people everywhere want to help; everyone wants to do things that are meaningful and purposeful. No body wants to be a sleepwalker. But most of us have constraints that tie us down, and don’t allow us to do the things that we want to do (a family to support, or parents to take care of or a future to build for you children, everyone has a reason). Not everyone can have the luxury or the bandwidth or the even the motivation to help bridge the inequity gap in the world. But that doesn’t mean you can’t play a role, in giving back, attempting to solve this puzzle piece. Yes you can. 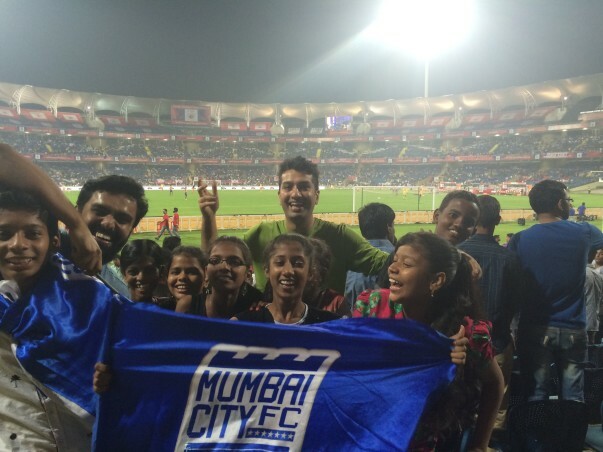 This post is a cry for help, a request to assist me in my pursuit of excellence for 108 kids from the slums of Mumbai. 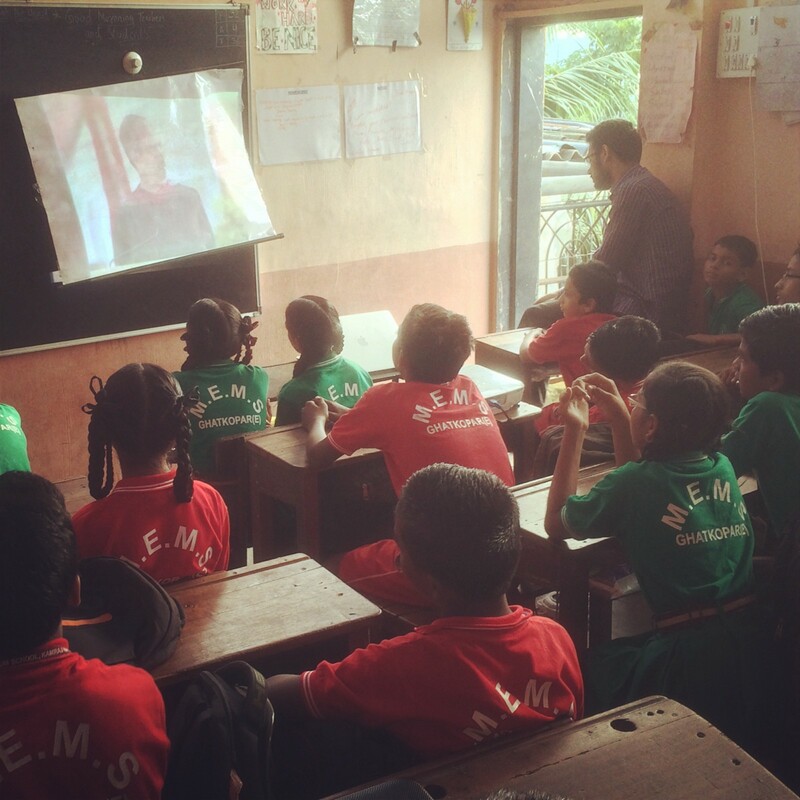 Help Hari’s Classroom Go Places! There’s a LOT I need to do for my students, and there’s a lot I can’t do alone. There’s a pressing need for funds and external aid that can better equip me to effectively do my work in the classroom. So, through this post I’m reaching out to anyone and everyone who’d like to help out. 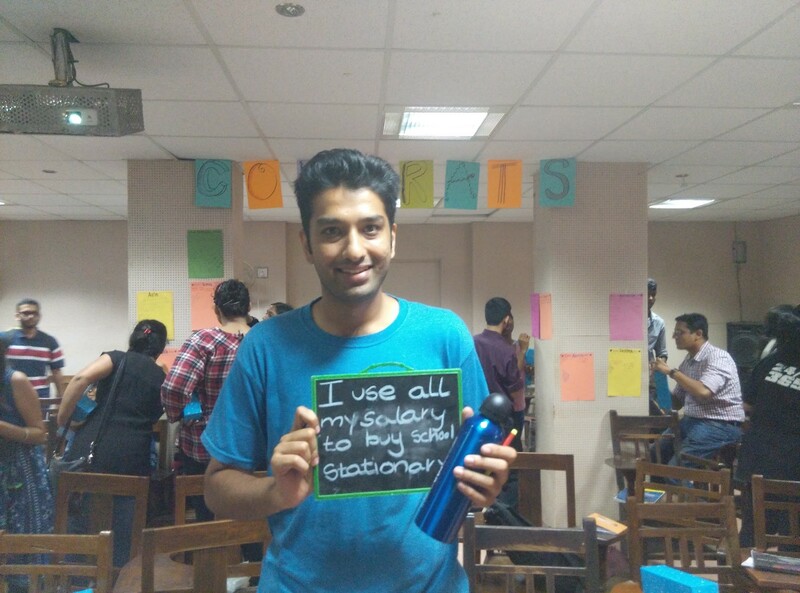 Here’s what I need and why* (along with pictures of various activities from the academic year 2014–15)! Having a projector means I can show them videos to aid understanding. For many auditory learning isn’t optimal because they don’t always follow spoken English, hence visual aid helps a lot. It also allows classes to progress much faster if notes are projected instead of written on the board, or dictated (considering how badly they write, dictated notes aren’t reliable) When our shared projector does work, speakers are essential to show them videos. The videos we show them not only improve their subject knowledge but also give them the much-needed exposure they need to the world beyond their home. My co-fellow showing Steve Jobs' Stanford Commencement Speech (dubbed in Hindi). My kids are in 8th grade now which means we need to arrange a lot of counselling, career guidance, adolescence issues and afterschool tuition support. Four of my girls have been selected for the Avasara Leadership Program, an intensive afterschool program to develop leadership skills. While the program costs are taken care of, I still need funds to arrange for the transportation of these girls from my community to the tuition center everyday. This is a more imminent/urgent requirement. Major Cost: Arranging for daily cost for the girls from the community (Kamraj Nagar) to the tuition center (BKC). 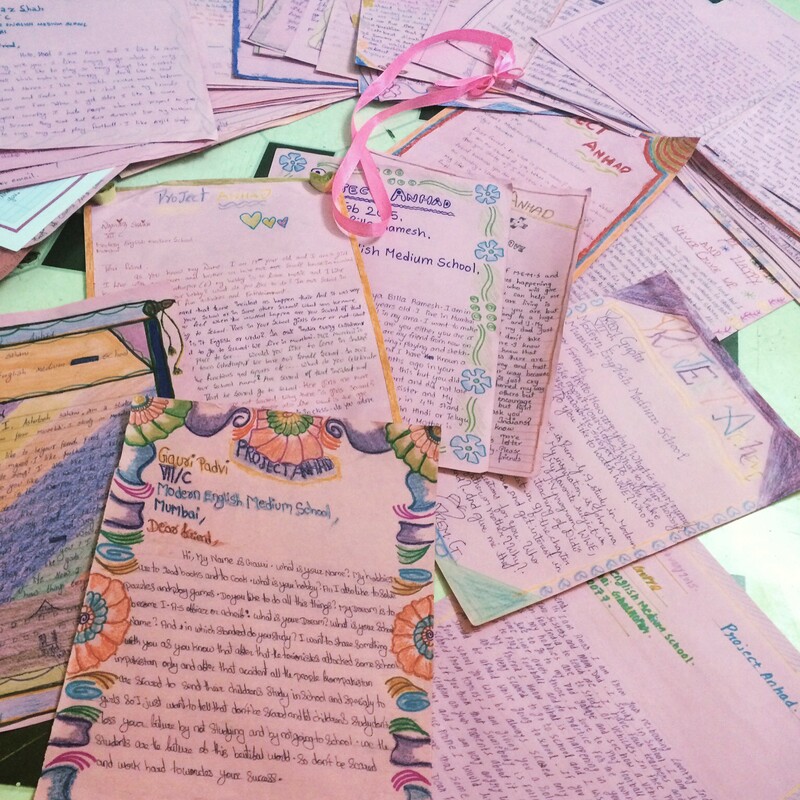 Project Anhad: 108 letters to Pakistan. Sent in the spirit of brotherhood and camaraderie. Fieldtrips give us the opportunity to teach them something, connect with them better, or simply incentivize them. We’d like to take them out at least once every quarter for an educative field trip like the Science Center, Planetoriums, Museums, College Campuses, places of historical interests etc. 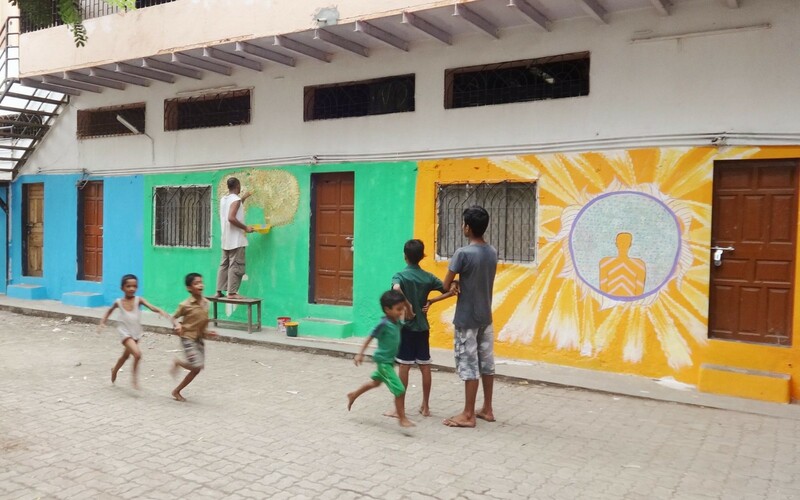 The sad looking school got repainted in bright colours over the summer with the help of Anukriti. We firmly believe that for the holistic development of an individual, development of values and mindsets is as important as academic achievement. 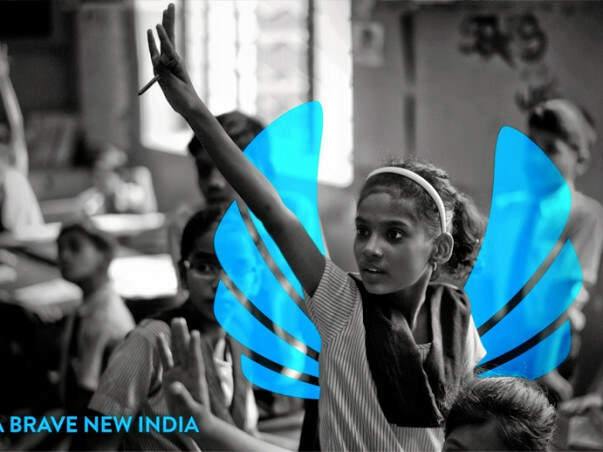 Along with academics we aim to put these children on a path that will make them responsible citizens that make positive contributions to society. We focus on teaching and practicing values like teamwork, respect, grit and perseverance in the classroom. We believe there is no better place for students to demonstrate and develop these values than the sports field. Football was unheard of in the community our kids lived in. 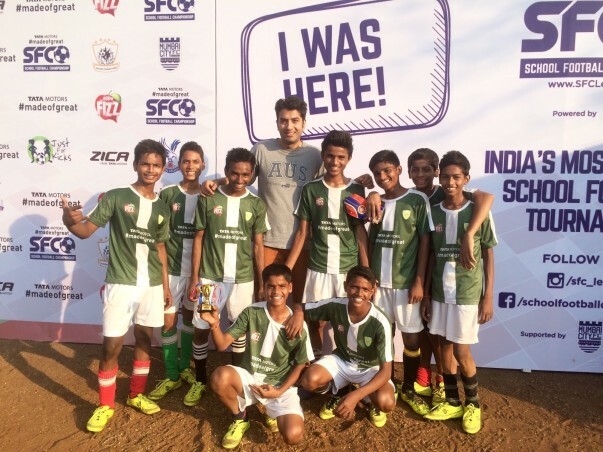 Football coaching began 2 years ago with a small subset of 20 boys and we participated in Just for Kicks, a football tournament for Teach for India schools. Last year we went a step further—coaching 40 boys, twice a week, 4 months before the tournament, shoes for every player, sufficient equipment, a qualified coach, energy boosting snacks—and it worked! All players follow the rules, are regular and disciplined at practice, and play a fair, respectful game. They can trap, pass, attack, shoot, defend with style! Vipin, Ajay & Azaz: Play. Jump. Soar. Fly. 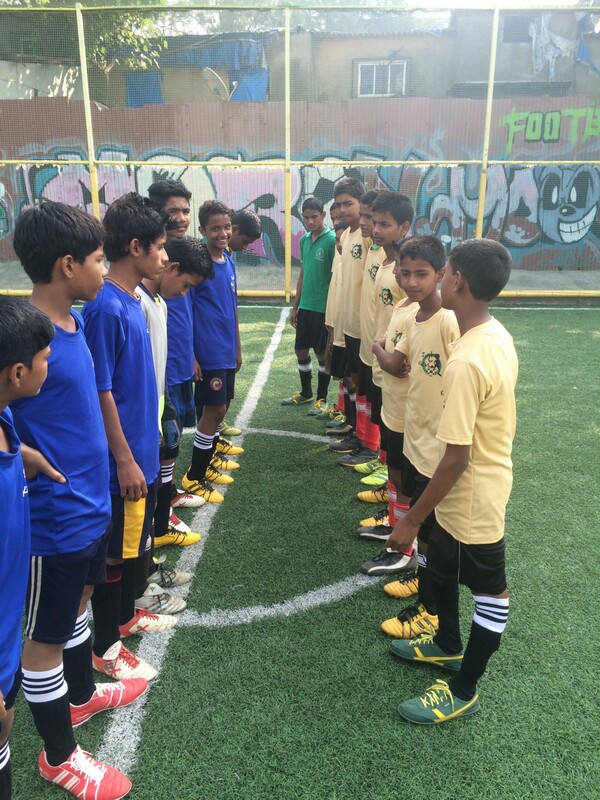 Football Coaching for 40 boys. What comes next? We want to take the curiosity and enthusiasm we saw in our kids to the natural next level. We would like to continue the good work done so far (with the coach and the training) and also venture into a new sport (we’re thinking Basketball—talks are underway to get a coach and mentorship all the way from NBA). but doing so requires funds. 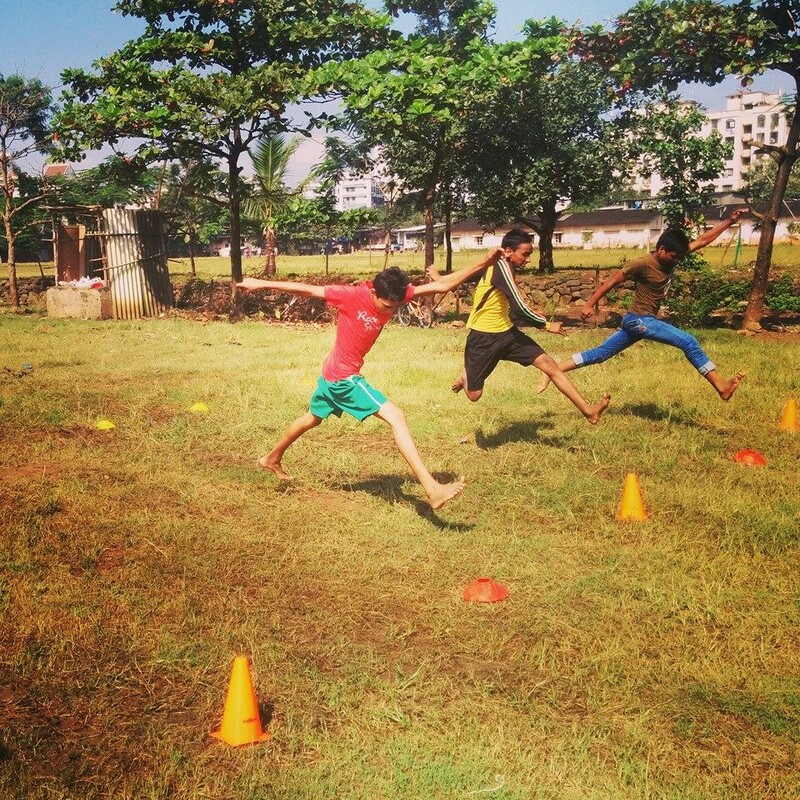 Modern Strikers (our football team) playing Shindewadi Strikers in Just-For-Kicks. 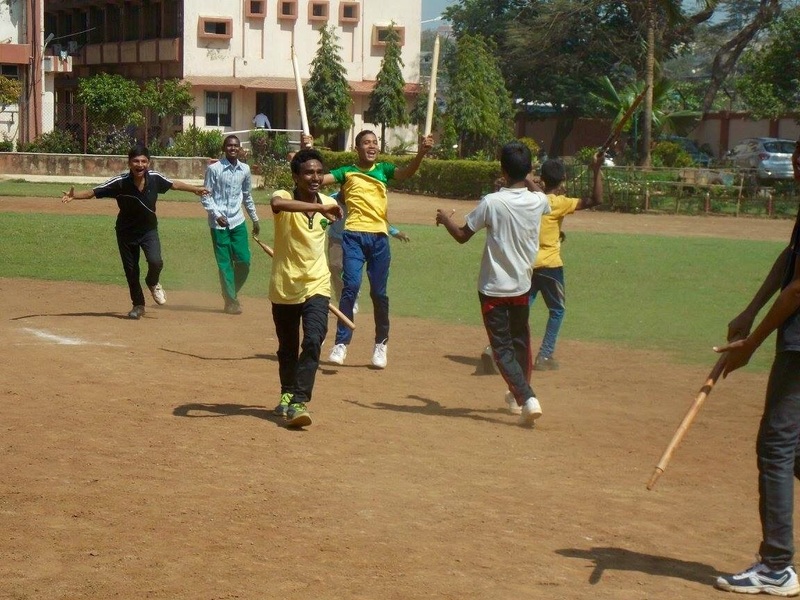 My kids also participated in The Right Pitch?—?a cricket tournament organized for TFI schools, where they won The Fairplay Award. 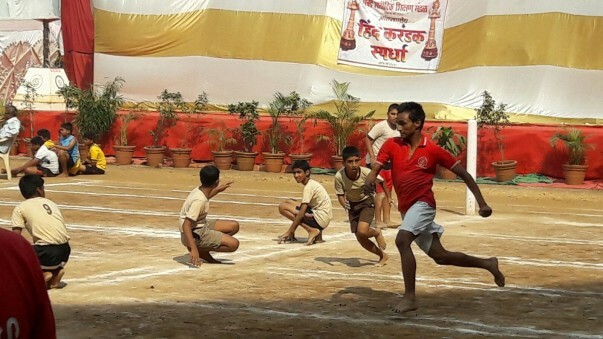 The girls in the school also get to play dodgeball, badminton and kho-kho and they participate in the school sports events. Major Costs: Transportation of the kids to the competition venue, for friendly-games, nutrition requirements/energy boosting snacks, coach, sports gears etc. 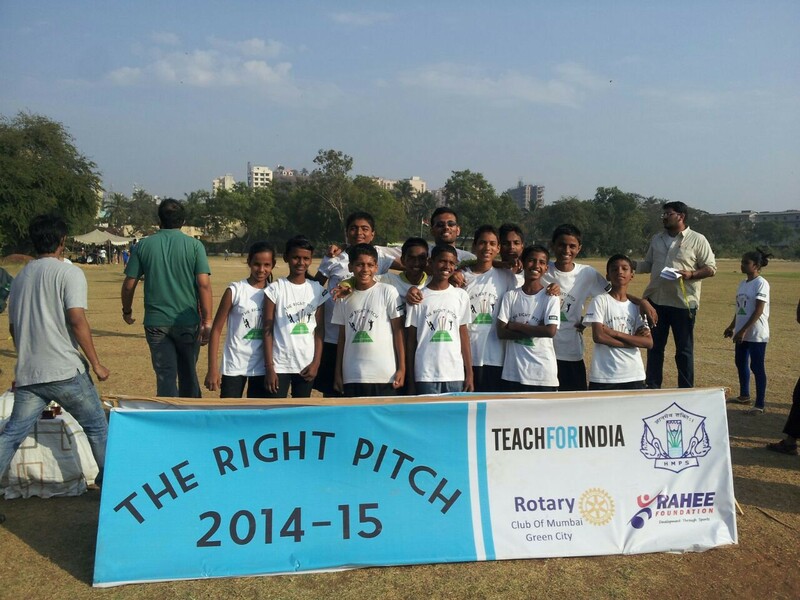 Team MEMS: Fair Play Award Winners at The Right Pitch 2014–15—a cricket tournament for TFI schools. Last year, I started training my kids for debating and we had a fabulous time. 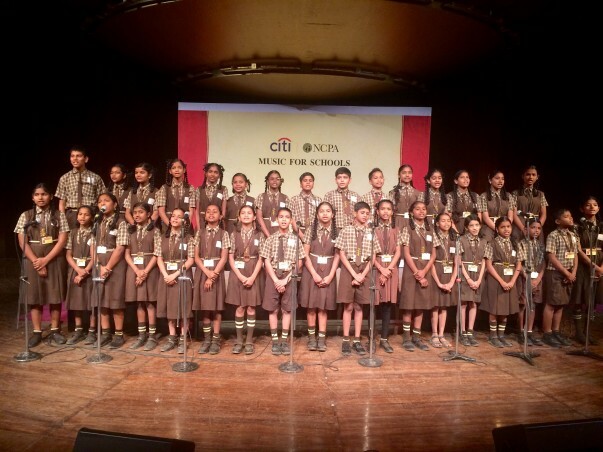 My kids participated in multiple debate competitions like HallaBol (an inter-parliamentary style debate competition for TFI schools) and Ungagged (a debate competition orgaznied by the Rotary Club of Mumbai), where my kids stole the show. 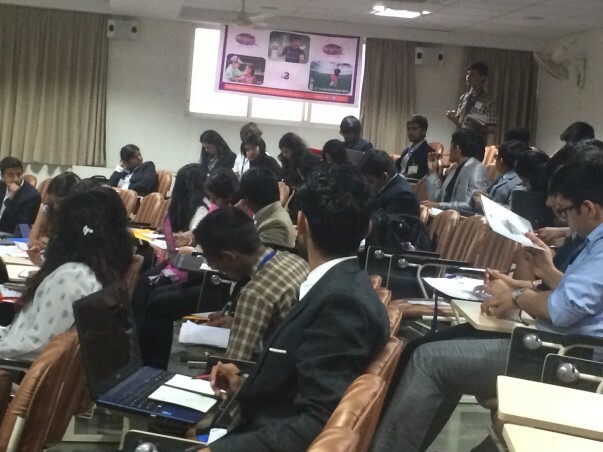 My kids also performed a debate showcase at the TFI Alumni Induction for the batch of 2013–15. 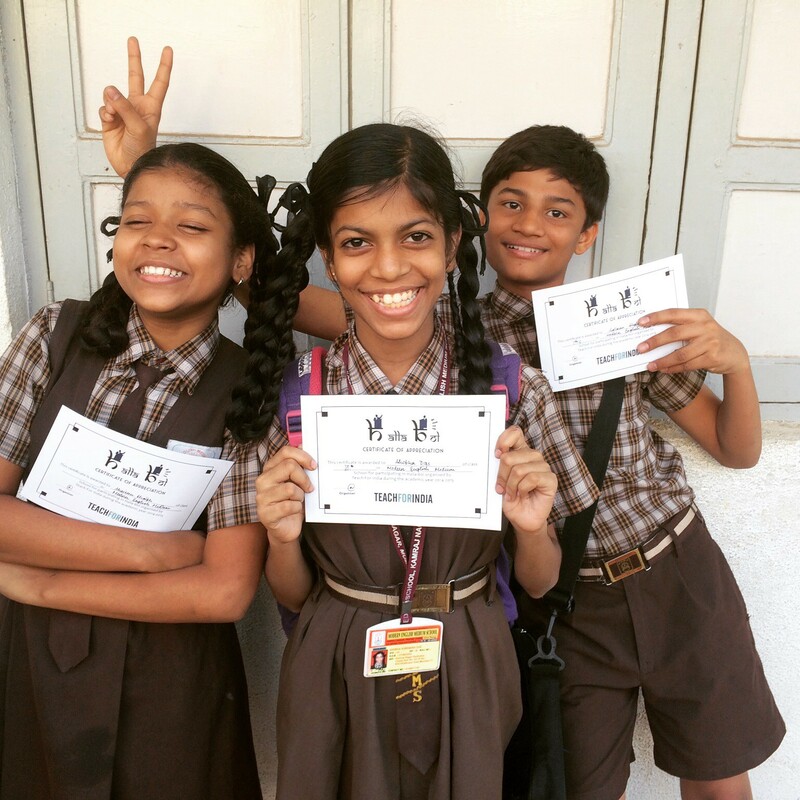 They also participated in TFIMUN, a model united nations event organized for TFI schools from Mumbai and Pune, where one of my kids got the ‘outstanding delegate award’. 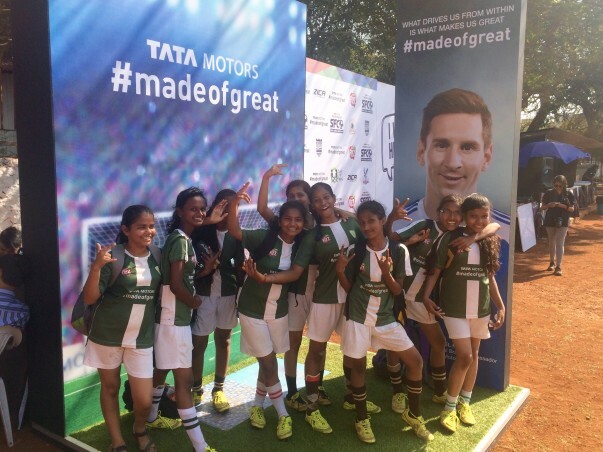 Thus we’d like to continue the training and give them more exposure to such competitions. Major Costs: Transportation of the kids to the competition site, to mock sessions, practise/training sessions, etc. This is undeniably a must for the holistic development of a student. Music helps in a classroom. It aids to calm students and set a conducive environment for learning in my class. If they can be catered to in the right manner, they can make significant progress. That’s a fact and not a hopeful assumption. We want to expose our kids and train them in this area so that they are able to better express, understand and handle their emotions and improve the quality of their thoughts and actions. 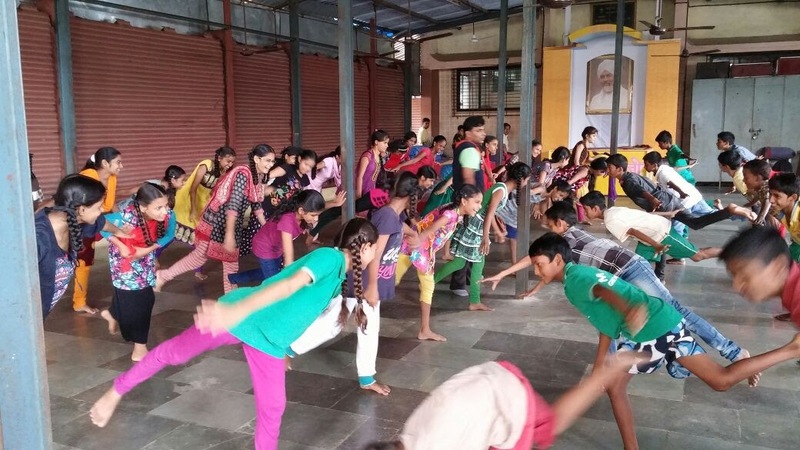 This year we were unable to make our kids participate in Jhankar, a music & dance competition for TFI schools as we didn’t have the funds to take 20 of our kids to the audition site. We do not want to miss out on such opportunities in the coming year. Major Costs: Costumes, Props, transportation of the kids for auditions, competition venue etc. 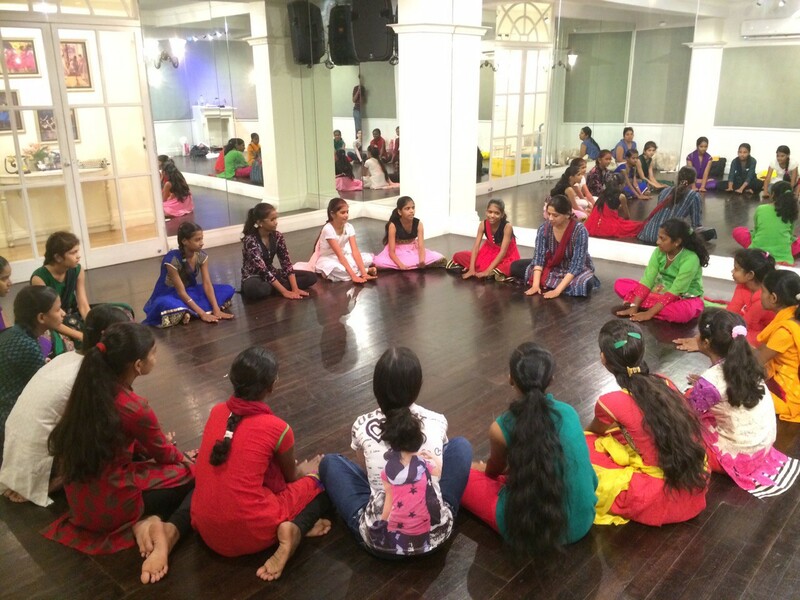 Kathak classes for 20 girls sponsored by Jackie Shroff. Currently our school doesn’t have a library (can you imagine?). Fortunately (a big thanks to previous fellows) many of my kids have discovered the value of reading and would grab any opportunity to own/borrow a book. I’d like to setup a mini library in the school, where the kids can borrow books according to their grade level. 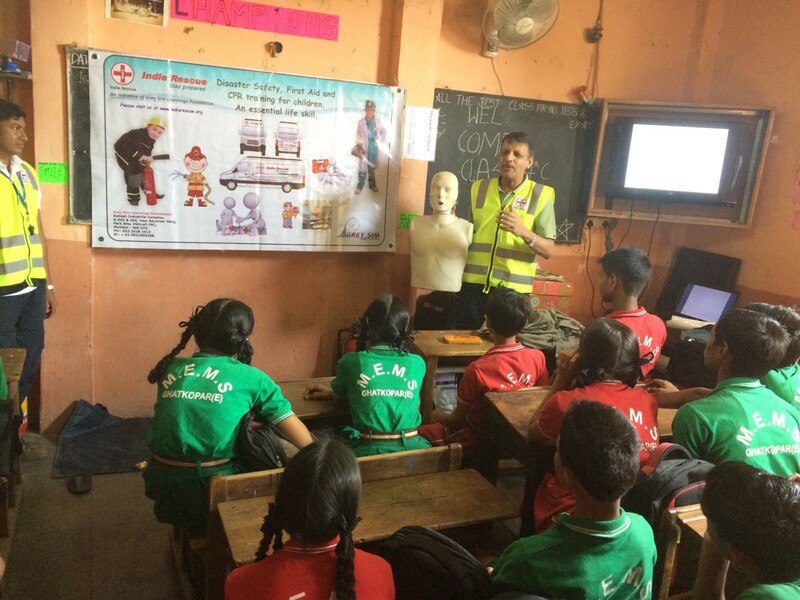 Fire Safety, First Aid and CPR Workshop. 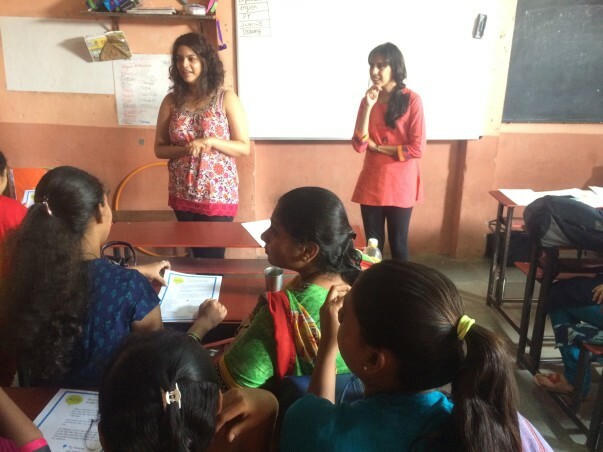 Workshop on personal grooming, hygiene and sanitation. Our school doesn’t have a functional science lab (the room that is called so is used as a store room). This means the kids are forced to memorize science concepts that seem abstract. There is no application of scientific knowledge and no access to experimental learning. Being an ardent Science lover myself this is just unacceptable for me. 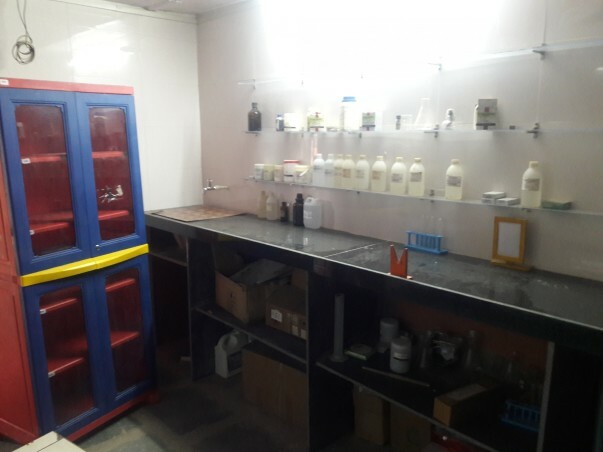 I would like to set up the Science lab by equipping it with some basic kits to start with. 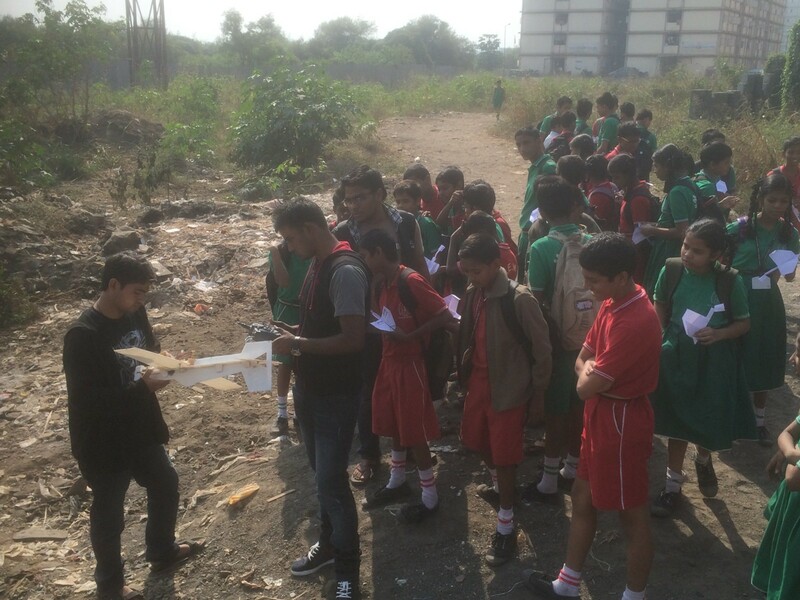 Workshop on remote controlled aerial vehicals conducted by IIT-Bombay Aeronautics Club. 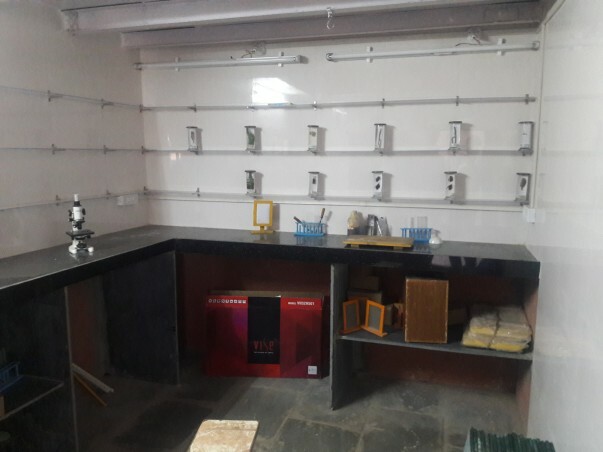 Major Cost: Basic Science equipments like a DC motor, electroscope, microscope, DIY kits for some basic Science experiments, simple circuits, kaleidoscopes, magnets, mirrors, lenses, beam balance, pendulum etc. 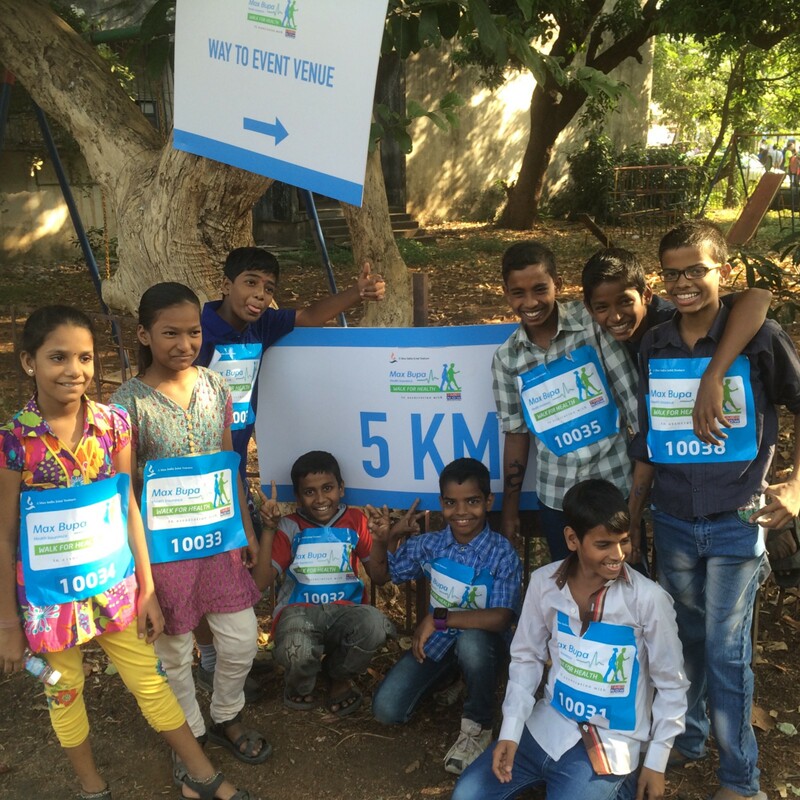 Walk for Health 2014—the kids walked 5 kms to raise awareness about the importance of good health & hygiene. A study by Kevin Croke of the Harvard School of Public Health tracked children for 7–8 years after a mass deworming program. He found that keeping all the other variables the same, dewormed children had higher test scores in literacy and numeracy than the non-treated children. He concluded that the difference in outcome was because of the deworming and not because of any other variable. Deworming, considered a ‘best buy’ for improving both education and health, is not just simple, it is also very inexpensive (less than half a dollar per kid per year). In a community like the one where my kids live, where sanitation is a major issue, worm infections are very common. I’d like to undertake a deworming project for my school. 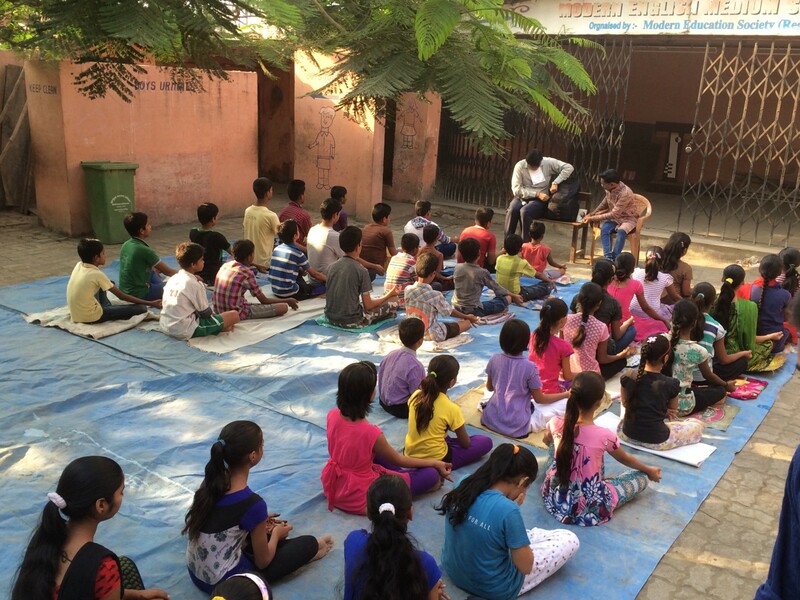 Yoga & Meditation Classes for the kids in the summer break. Under a tree, gurukul style. 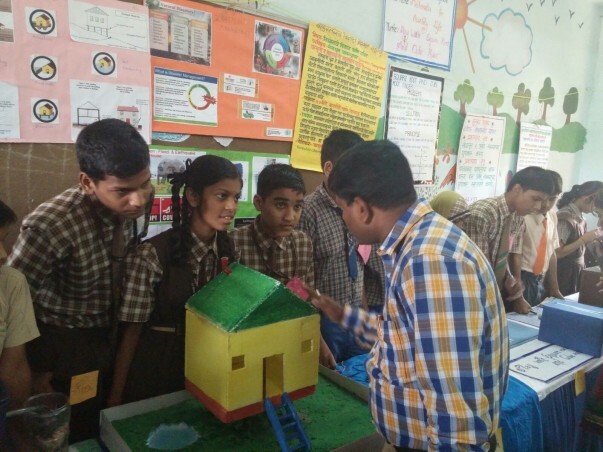 The Maharashtra SSC curriculum is not at all useful in helping my students reach the level that they are supposed to be at if they want to continue successfully in pursuit of further education. We aim to help them grow by about 2 levels in a year. For this to be possible, we need to provide them texts suited to their levels and worksheets for practice. Printing worksheets, assignments and reading material for 108 kids day-in and day-out can get expensive. Any help along this front will be greatly appreciated too. 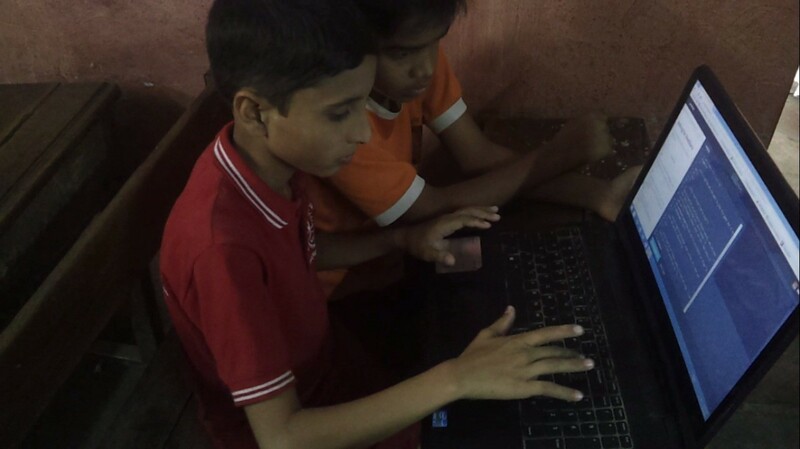 Kaif & Ravi: Programming Classes for select kids. I also plan to subscribe to newspapers for classrooms, kids’ magazines, science magazines etc. so that the kids have access to reading material in school. 1. If you wish, I shall personally let you know how your assistance will get substantiated/put to use, at the end of every unit (every 6 weeks). 2. If you’d like to help buy any of the classroom requirements directly (books, projectors etc.—instead of helping out monetarily), do shoot me an email and we will work something out. 3. If your donations exceed my requirement, it will be used for the same classes in the next academic year. 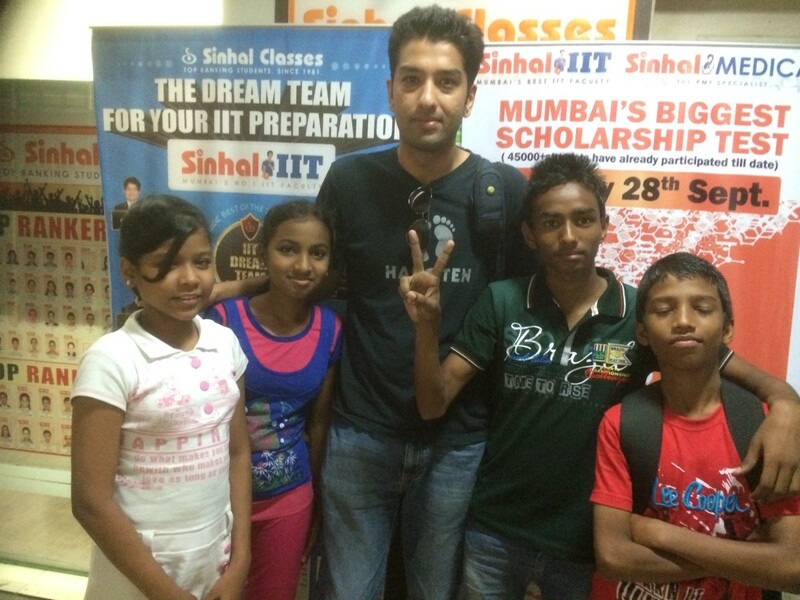 Shaireen, Swati, Ajay & Ashutosh: Math and Science Olympiads organized by Sinhal IIT. A. Please visit my classroom! ? The kids love meeting new people. Often, children from under resourced communities like mine, lack positive adult relationships that offer them a refreshing perspective and unyielding motivation. These children are bound by their prevailing socio-economic conditions, without any exposure to what lies outside those bounds. Interacting with people outside their communities will expand their horizons and add a new lens to their perception. 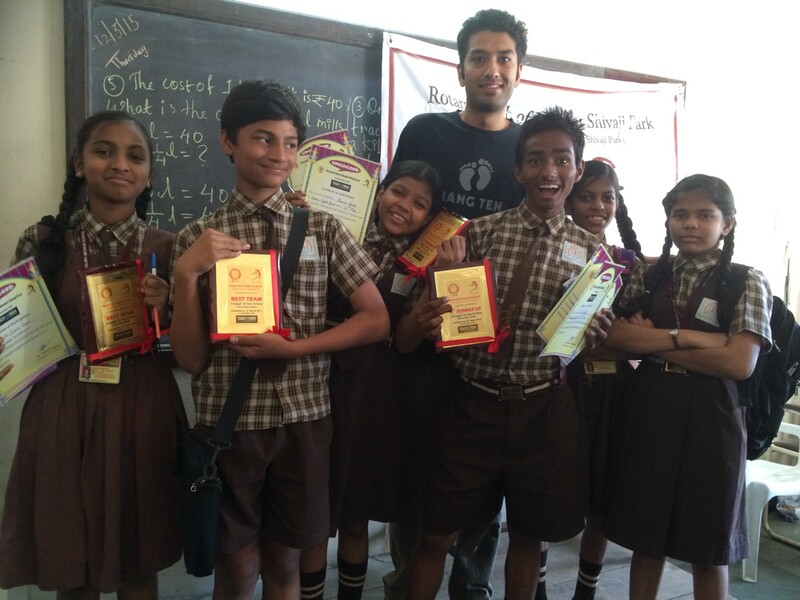 If you’re in Bombay, you can help volunteer in my classroom. We can also an extra hand. You can take any extra-curricular classes (sports, music, art or whatever you’re excited about). B. If you’re not in Bombay, and if you really can't visit, that’s ok. Please do drop me an email and tell me what you’re thinking. I’d love to hear from you. ? 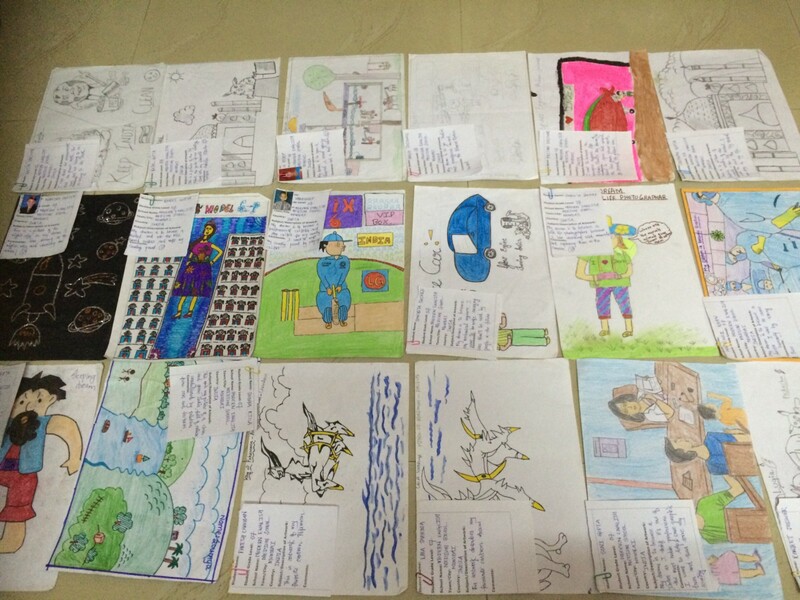 One World One Classroom : Global Art Exchange Program. 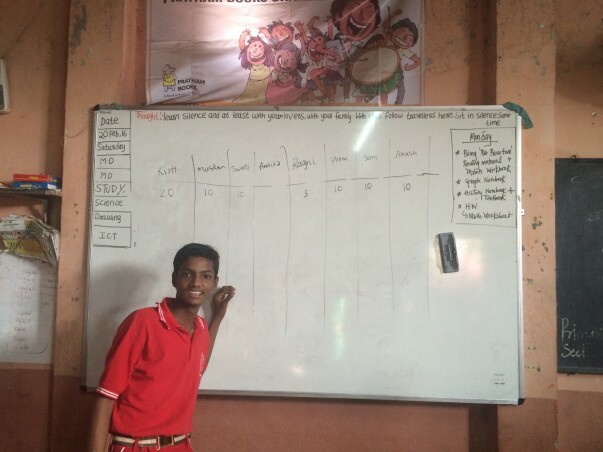 My students come from very low income backgrounds, where paying a monthly school fees of Rs 350 ($5.50 USD/ $7. 30 SGD) is also a challenge. Most of them live in Kamraj Nagar, and neighboring areas like Netaji Nagar. These are a predominantly migrant community from the states of U.P. and Bihar. Most of the people living here are blue collar workers?—?drivers, housemaid, cobblers, vegetable vendors etc. Needless to say, the students do not lead easy lives. They share one room houses with 5–8 members. Due to the extreme space crunch in Mumbai, their houses are cramped together and are far from any open recreational space. Nonetheless, these are not insurmountable hurdles for my children. Most of them realize that education is the only way to build a future. The community is otherwise very safe and peaceful. School Team: 2014–15 (during End of Year assessments). I’m a graduate of Nanyang Technological University (NTU), worked in the technology consulting space for a couple of years, before joining Teach For India in June 2014. 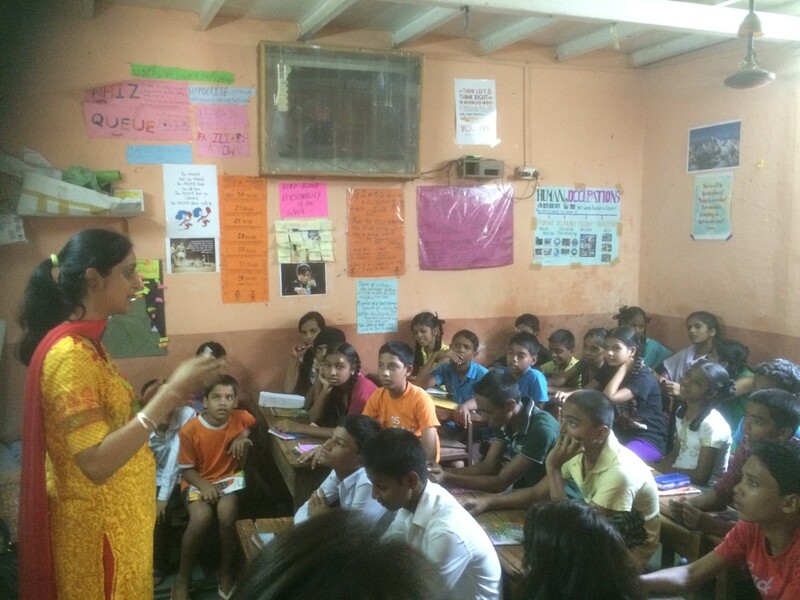 I now work as a teacher for 110 children in an under resourced school in a low income community in Mumbai, to try to impact their education in the short run and to build an understanding of the educational landscape of the country in the long run. 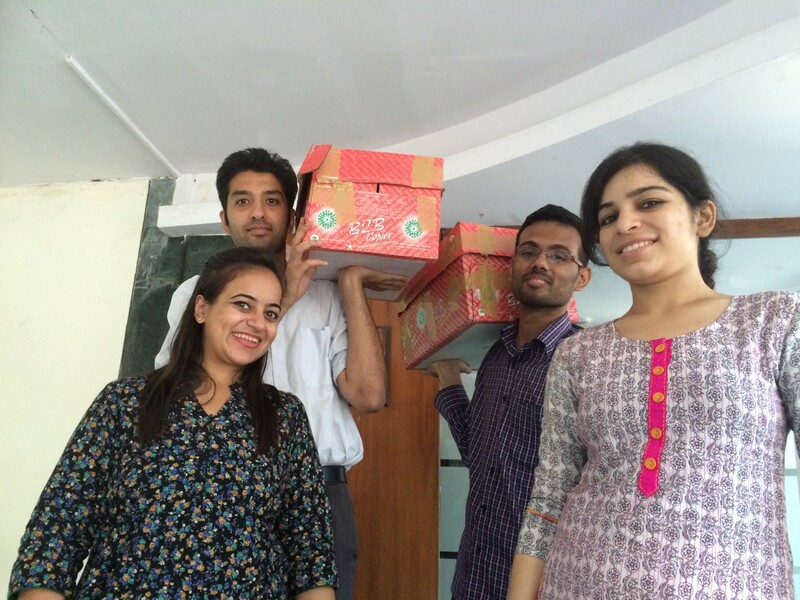 Teach For India End of Year Summmit 2015. Address : Prayag Chawl, Kamraj Nagar, Near Eastern Express Highway, Ghatkopar (East), Mumbai?—?400077. 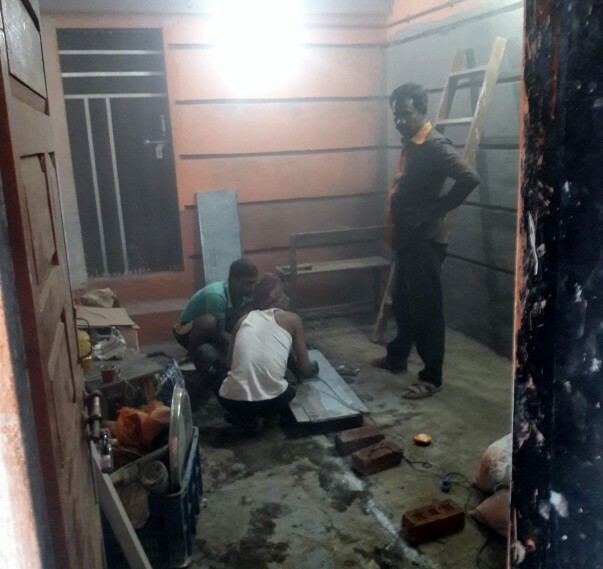 This is a library that is being constructed and a lab that is already functional but more equipment is being brought in, with funds collected from the donors and a charitable trust.